POPDOSE doesn’t believe in a “one post stand”, so this week we’re drunk dialing some of the loveliest ladies we’ve ever featured in our “Download Now” and “The Popdose Interview” columns to hear what they’ve been up to. Last year, Arrica Rose was the subject of POPDOSE’s most popular “Download Now” feature — and for good reason. Her rich voice weaves a tapestry of influences, from Mazzy Star and Neko Case to the Andrews Sisters and the Cowboy Junkies. Critics, bloggers and her feverish fanbase gushed, swooned and whispered loudly over her dark, dreamy, cinematic and enthralling EP, Lucky. 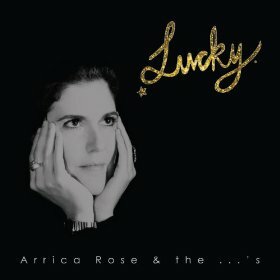 Lucky, featuring her band the “…’s” — Marc Thomas (lead guitar), Steve Giles (bass, backing vocals), Ryan Brown (drums, percussion, backing vocals), Laura Martin (backing vocals) and Kaitlin Wolfberg (violin, backing vocals) — is on sale this week at Amazon. 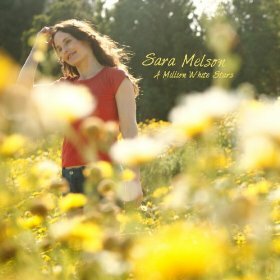 We last interviewed Sara Melson upon the release of the Beachwood Canyon Sessions, an EP of re-imagined songs from her stellar 2008 debut, Dirty Mind. On her album of all-new material, A Million White Stars, Melson is back with another stack of alluring, euphoric and sharp as knives songfare. Because I am a sentimental fool, here is a Dirty Mind-era video was filmed in the same Beachwood Canyon lodge where I got married. 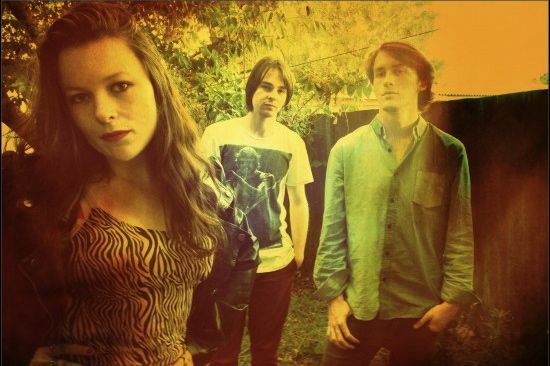 Fellow Angelino, Kat Parsons, also chatted with Popdose for the release of her second EP of 2012. The trilogy that began with Talk To Me and Oh! comes to a triumphant, Ewok-free conclusion with the April, 2013 release of It Matters To Me. Parsons has one of the richest, sweetest, most powerful singing voices in all of pop. Her songs are custom-made to soundtrack key moments of courtship, heartbreak and happy endings in romantic comedies that have yet to be made. 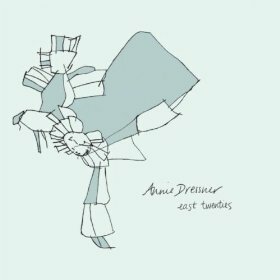 American folk artist Annie Dressner relocated to the UK and has kept up a busy tour schedule promoting her sweet, weird and totally endearing debut album Strangers Who Knew Each Other’s Names — check out our first “Download Now” feature with her here. To satiate appetites before the next full-band full-length, she just released East Twenties, a stripped-down but equally rich acoustic EP. Dressner isn’t the typical coffee house crooner who sings pretty, but pretty forgettable, piano ballads. Her stories are full of imagination, wit and surprises — her vocals conjure everything I love about The Weepies, Kate Bush and Weezer. For less than $4, you can pick it up here. Since we last checked in with them, LA’s answer to Evanescence has expanded into a tight live machine where the girls outnumber the guys. Angie (guitar) and Clarissa Novales (bass) join Karl Strauss (guitar), Christopher Schnack (drums) and the mesmerizing Shelah Kelso Strauss on vocals and keyboards. Their latest album is on sale this week at Amazon. Earlier this year, POPDOSE introduced you to the lovely Yulianna. The Kazakhstan native resides in Los Angeles and you can tell she has no intention of leaving anytime soon. “Californ-i-a” — from the iTunes exclusive album of the same name — is a lovely slab of So-Cal-soaked radio pop that would work great in a mixtape filled with odes to the roads out West. The unnecessary, disruptive, tacked-on, self-promoting guest rap. These raps are all the rage and I guess it just shows my age as to why I usually detest them so much. I picture the rapper hitting a studio and cranking out a dozen of these takes in an hour without ever hearing the song. What is an attempt to add street cred to a genre that doesn’t need it, usually turns out as urban as a minivan with neon running lights or a Prius with a lift kit. But I digress. Rap legend, The Game, drops some rhymes into the mix and the result ain’t half bad at all. We just introduced you to Auckland’s James Bond villain-inspired Neo Kalashnikov’s in last week’s roundup, 13 Women You Must Hear in 2013 (Six Free MP3’s) — and that was just days before their new album dropped. You can download their new album, Gorgeous Baby, for FREE right here.